Commercial Window Cleaning New York City: Save More Money! No business wants to spend more than they have to. #1. You won’t have to take your staff away from their work. It may seem like it makes sense to allocate window cleaning to a few of your staff members instead of spending the money to hire the professionals, but it’s important to think about the work your staff will be missing during that time. Are cleaning the windows really the best use of your staff’s time? The answer is probably not, particularly if you’ve spent the time, money and energy to train them on the job you originally hired them to do. Unfortunately, if your staff cannot keep up with their regular duties in addition to their window cleaning duties, you could end up losing money in the form of decreased production or employee turnover. #2. You’ll make a better impression on clients, customers, investors, partners, etc. Although it might not be fair to judge a book by its cover, or in this case, the building your company is in rather than the hard work you do day in day out, that’s just how the world works. If clients, customers, investors, partners, etc. 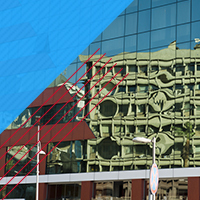 come to your building, and they notice that all of the windows are dirty and splotchy, it gives the impression that you don’t take pride in the appearance of your building, nor do you pay close attention to the details. All of this can result in lost revenue for your business. Only professionals can get you the kind of results that can make the right impression on anyone coming to your building. #3. You may end up saving more on your energy bills. 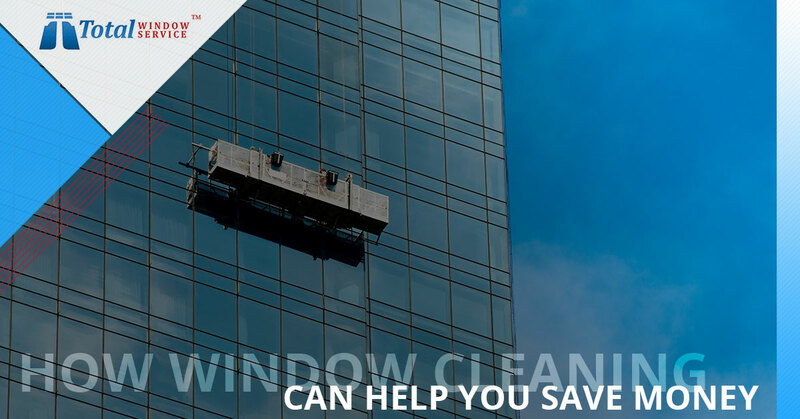 At Total Window Service, we primarily offer window cleaning, but we can also help you out with several services aimed at helping you save more energy. For example, while we’re cleaning your windows, we pay close attention to even the smallest details, and if we notice air leakage issues, we can caulk your windows, making them airtight. We also offer mirrored and solar window film that helps to reduce heat gain, keeping your office more comfortable and reducing your energy bills. Better yet, taking these steps also helps to take some of the pressure off of your HVAC system, reducing the need for maintenance and increasing its lifespan, helping you save even more! Are you looking to save more money? If so, professional window cleaning is a great option, and we’ve only had time to go over just a few of the ways that we can help you save money in this blog. If you would like to learn more about how we can help you save, please make sure that you stay tuned for our next blog. In the meantime, when the time comes to hire commercial window cleaners for your business in New York City, don’t rely on just any company. Choose a company you can trust to get it done right the first time by choosing Total Window Service. Get your free commercial window cleaning quote today!